Pronounced (keen – wah) say what? The first time I heard this I had absolutely no idea what it was! A couple of years on and I can honestly say I love it. It has such a unique flavour and is light and fluffy. I always soak it over night to help remove the saponins, they make it go frothy like soap and have a bitter taste. I rinse it until the water is clear. This also helps in the sprouting process. Why sprout you may ask? This helps to digest easier. 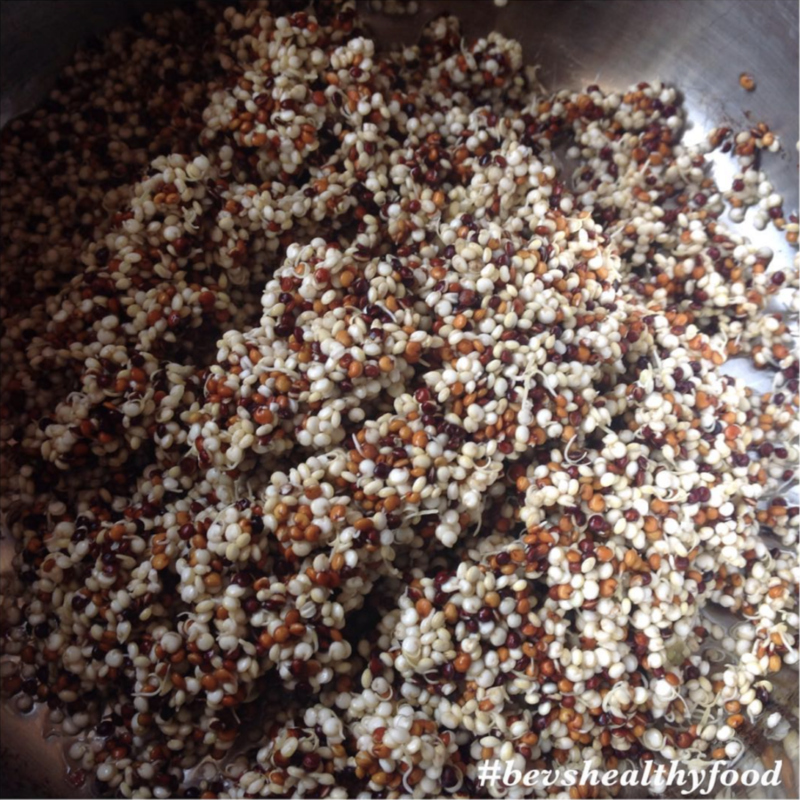 Quinoa is gluten free and a good source of iron, magnesium, vitamin E, potassium, and fiber. An excellent substitute for rice, oatmeal, flour and meat. It is also a complete protein which means that it contains all the essential amino acids that the body needs for repair and a healthy immune system. Particularly rich in lysine, which promotes healthy tissue growth throughout the body and also helps to keep coldsores (herpes labialis) at bay. High in protein which helps with satiety (keeps you fuller for longer) Quinoa also makes a good base for salads and can be used for sweet and savoury dishes and best of all it is quick and easy to make. I like to use the tri-colour; however, any colour would do. Soak overnight in a saucepan and cover. Once soaked rinse under running water in a fine strainer until the water runs clear. This ensures that there is no bitter taste due to the saponins which are Phytochemicals that cause the water to go frothy like soap. You will see what I mean once you start to rinse the quinoa. Once quinoa is thoroughly rinsed put into saucepan with 11/2 cups of water and cover with lid. Bring to the boil and then reduce heat to lowest heat possible. Simmer for 10-15 mins until all moisture is gone, (be careful not to burn) and turn off heat. Allow to cool with lid on. Once cool fluff with a fork and then ready to use. 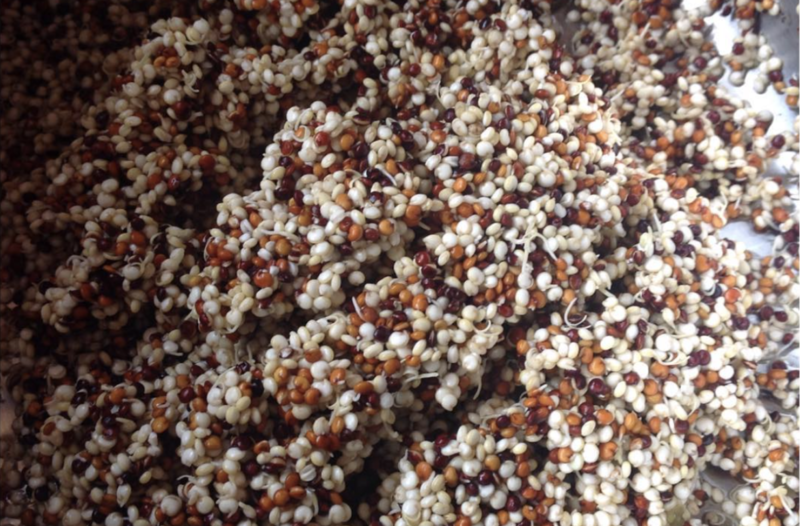 Leave me a comment and let me know if you have tried quinoa and if so how do you use it? I love hearing from you, keep in touch!